I have been learning a lot more and reading about Meditation. I am new to it but I find it very relaxing. It has been so relaxing just sitting and using my Zen Garden. I have it on my desk and I use it when I feel tense or upset or just need to take a few minutes out to relax and clear my thoughts. I use it when I am on the phone, or I just sit back and play in my little garden designing flattening out to make the sand perfect. I pay so much attention to detail that it just takes my mind away from daily stress. It came nicely packaged. First I added the sand, then stones and right away began designing and moving around the sand. I never knew about a Zen Garden nor meditation in this aspect. I highly recommend this for anyone who would like to start meditation or if you suffer from anxiety or stress. 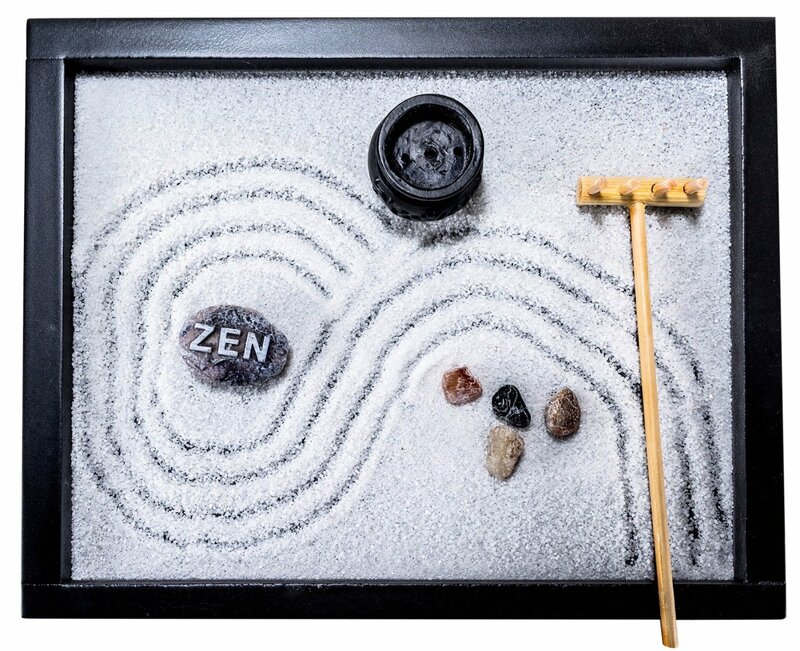 I received this Zen Garden complimentary in exchange for my unbiased review and opinion. All opinions and words are my own.